This project is an infill property in an established neighbourhood for a graphic design couple and their family. A feature staircase divides the main floor area into work and social adjacencies. The house is clad with tamarack siding and Hardiepanel with a flat roof and large south-facing glass. 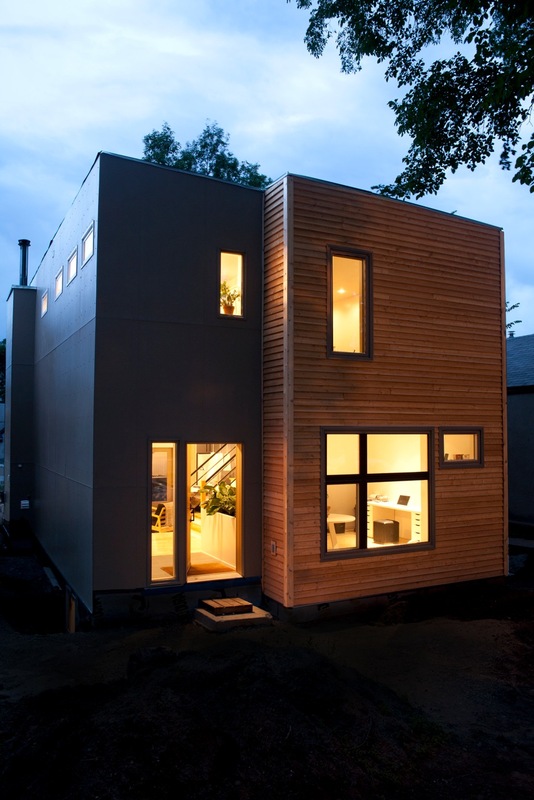 The structure is ICF (Insulated Concrete Forms) and the house is heated radiantly making for low energy costs.